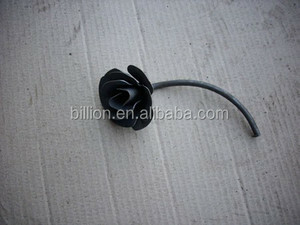 All kinds of products can be customized according to customers' requirements. we can booking space for customer or customer find freight forwarder is ok too. or it is 20-30 days if the goods are not in stock, it is according to quantity. 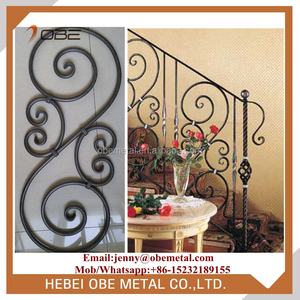 Hebei Anbang Ornamental Iron Co., Ltd.
Qingdao Hualute Machine Co., Ltd.
Qingdao Simen Industry & Trading Co., Ltd.
We have a strict quality-control system which earns us a good reputation around the world. And we are the only one of the company use the advantage automatic rober prodcution in Qingdao. 4. 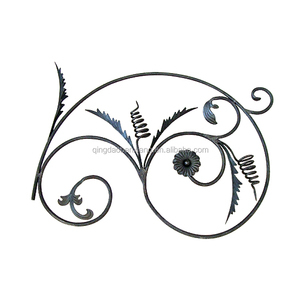 We have 16 years of experience to produce & export wrought iron products. 2. 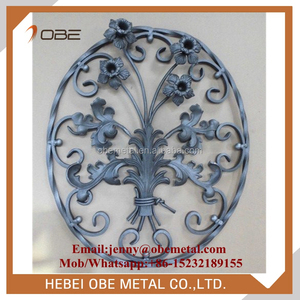 Surface treatment: Sandblast ;Antirust Oil Paint;Electro galvanized ;or as your demand. 4. 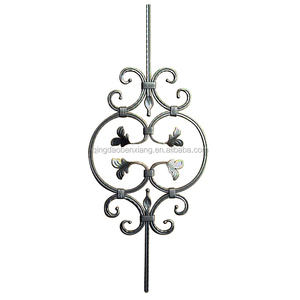 Usage: widely used in the cast iron fence, steel iron gate, garden; villa pickets bar or stair as decoration. 5. Package: carton , iron pallet ,crate; Finish packing seal,no rust at least 3 years; Or according to your requirements. Hebei Saibom Imp&Exp Co., Ltd.
Qingdao Ouguan Forged Iron Co., Ltd.
You are welcome to contact us for technical enquiry and business cooperation. &rarr; To ensure you get finished products with good assembly function. &rarr;To guarantee the product are well received in your side. In architecture and decorative art , ornament is a decoration used to embellish parts of a building or object. A wide variety of decorative styles and motifs have been developed for architecture and the applied arts, including pottery , furniture , metalwork . In textiles , wallpaper and other objects where the decoration may be the main justification for its existence, the terms pattern or design are more likely to be used. 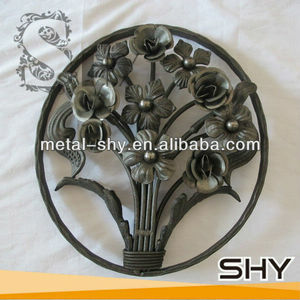 Alibaba.com offers 3,094 rosette iron products. About 21% of these are cast & forged, 1% are other metals & metal products. 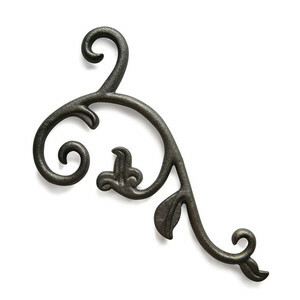 A wide variety of rosette iron options are available to you, such as iron, steel, and copper. You can also choose from free samples, paid samples. 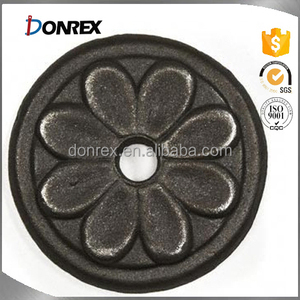 There are 3,066 rosette iron suppliers, mainly located in Asia. 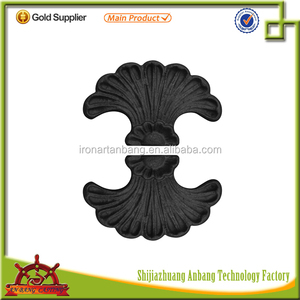 The top supplying countries are China (Mainland), India, and Turkey, which supply 99%, 1%, and 1% of rosette iron respectively. 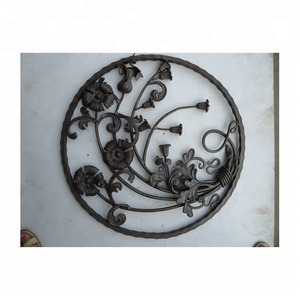 Rosette iron products are most popular in Southeast Asia, South America, and Africa. You can ensure product safety by selecting from certified suppliers, including 306 with ISO9001, 26 with Other, and 7 with ISO14001 certification.